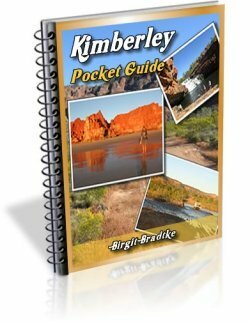 This is our planned itinerary for our first trip to the Kimberley. I hope to get your feedback if that is possible. We have tried to be free of bookings so we can change our priorities as we go. Would certainly be open to any suggestions. That itinerary looks very good. There is only one thing that, if it was me, I'd do differently. I would definitely spend two nights at Mornington so you can have a full day there. To find that extra day you could probably drop one of the nights at Windjana Gorge. You only need an hour or so to explore Tunnel Creek, and maybe two to explore Windjana, and the two are only half an hour apart. Depending on what exactly you want to do on the Mitchell Plateau, you could also drop one of the nights up there. But you could also leave everything exactly as is. There aren't any real problems with it. You are camping and therefore free to make adjustments on the way. It should all work out fine. Can I ask a question? You have a 4WD camper, and you are self driving to places like Mornington and the Mitchell Plateau. 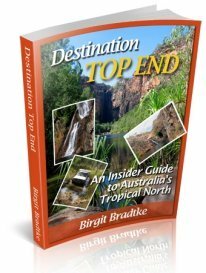 What made you choose a tour to the Bungles? I was surprised to see that decision. 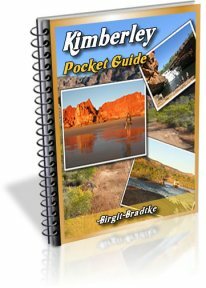 We discovered the Bungles tour (with East Kimberley Tours) very early in our research, based on glowing recommendations from a friend, and it became an automatic part of the plan. I have also been told that the Bungles are a place where you benefit from the tour guides knowledge and commentary. It is an expensive part of the plan, buts it's done now so we plan just to enjoy the extra comfort of the bush camp accommodation and the chauffeur driven ride. I see. That makes perfect sense :-). And EKT is a great operator. Well, looks like you've got it all sorted. Enjoy your trip! The trip is now over and we had a wonderful time - already thinking about what to do next time. The book was an invaluable guide that we depended on very heavily. We have listed below a few small items where it is not accurate - I guess it is an ongoing task to keep it up to date. Mitchell Falls were spectacular, but the campsite is less than inspiring. We ended up, based on advice from the locals, moving back to Camp 1 at the King Edward River crossing and had a wonderful 2 days swimming and relaxing amongst beautiful scenery and wildlife right on the bank of the river. 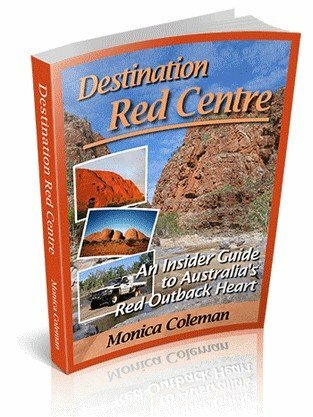 Highly recommended, and the aboriginal art in the area is worth finding. - the King Edward River campsites are easy to miss. Camp 2 is 2.8 Km from the crossing and Camp 1 is 3.1 Km, both on the right coming from the crossing. Camp 1 is a nicer site. - the aboriginal art sites around the KER crossing can be located as follows. The first turnoff is just 200 m from the crossing on the left. The second is 6.3 Km from the crossing on the right and is more difficult to find when you get there. You need to go through the little personnel gate and follow the tracks to the rock outcrops. The burial site is off to the the right before the gate and around begind the big rock outcrop about in line with the fenceline with the gate. - the showers at Silent Grove and Windjana are COLD (not hot) but not too bad. Overall, great scenery, great wildlife, roads not too bad. Great experience. Thank you very much for your help with it and thanks for the kind words.